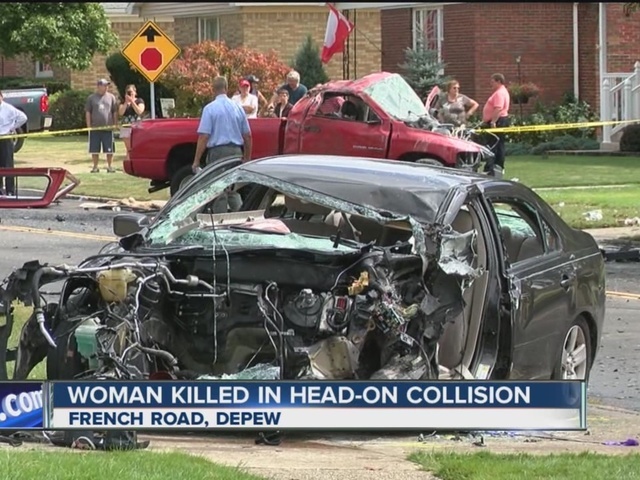 A 72-year-old woman has died in a head-on collision on a residential street in Depew. A pick-up truck and a sedan collided on French Road near Beverley Drive around noon on Wednesday. 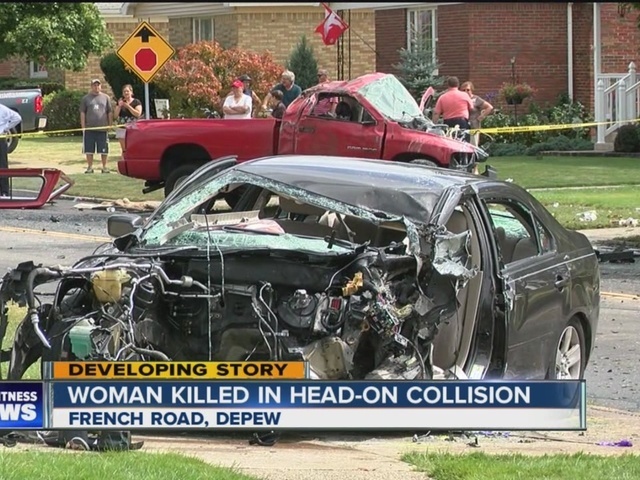 Authorities say Carol Dion, 72, of Depew was driving the sedan and was killed in the crash. A 23-year-old woman and 25-year-old man were taken to ECMC to be treated for injuries. Police say the driver of the pick-up truck is being treated for a severe leg injury. Depew Police say eyewitnesses to the crash stepped in to help the victims before first responders could arrive. Police believe the pick-up truck crossed the yellow line of the road prior to the crash. No charges have been filed at this time. The investigation into the cause of the crash continues.